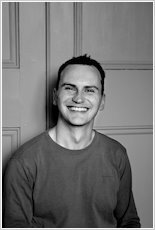 As their book wins the Carnegie and Kate Greenaway medals, writer Patrick Ness and illustrator Jim Kay explain how they worked together, without ever meeting, to unleash a monster hit. How did you come to be involved in A Monster Calls? Patrick: My editor, Denise Johnstone-Burt, had commissioned a book from Siobhan Dowd, based on a idea Siobhan had talked with her about. I’ve seen emails from Siobhan talking about how she couldn’t wait to get properly started on the notes and early prose she’d written. But very sadly, she died from breast cancer before she could finish it. Denise didn’t want the idea to disappear, though. I wasn’t perhaps the most obvious choice at the time, considering that Siobhan’s books tended towards the realistic and mine tended to the fantastical, but what I hope we have in common is a kind of wanting the emotional truth for our readers, of wanting teenagers to be taken seriously, as complex beings. And that can be true no matter where your story is set. Jim: Ben Norland, art director at Walker Books, sent me the manuscript and asked if I’d like to have a go at illustrating one scene from the book. I was gobsmacked by the manuscript, I knew I wanted to illustrate it straight away. However, I also wondered if it should be illustrated. As it was such a potent piece of writing, there was a risk of illustrations breaking the rhythm of that writing. Due to other commitments I had a weekend to produce an image, and I very hastily created the scene of the Monster leaning against the house. It was a technique I hadn’t tried before, dictated to some degree by the time constraints, which in hindsight may have helped. Given the time I would have preferred to try and illustrate the book entirely with etchings. Patrick: I wouldn’t have taken it on if I didn’t have complete freedom to go wherever I needed to go with it. If I’d felt hampered at all – again, even for very good reasons – then that harms the story, I think. And I did this not for egomaniacal reasons, that my decisions were somehow automatically right or some such nonsense, but because I know that this is what Siobhan would have done. She would have set it free, let it grow and change, and so I wasn’t trying to guess what she might have written, I was merely following the same process she would have followed, which is a different thing. Jim: Not consciously thinking of making it my own I suppose, I just piled in with an immense sense of panic. Patrick has a huge following, and I really wanted to do the story justice. The first day I was so excited and nervous I sat at my desk and just frantically produced drawings, lots of odd, bizarre things, I just needed to get that out of my system I guess. Once I relaxed I thought about what I could bring to the book. I love scene-setting, I imagine the story as a moving film or piece of theatre, and I start building the props and setting the scenery around the characters. I love atmosphere, and I guess that’s what I wanted to contribute. If I’d been left alone I would have avoided all of the key scenes, I was nervous about dealing with them, but Ben was fantastic in giving the book structure and, thankfully, insisting that I should tackle the explosive, energetic elements of the book. Without Ben it would not have been the same – I would have chickened out! Patrick: We didn’t work directly at all. In fact, we didn’t even meet until it was all over. What happened is that we worked through an art director who kept us both on track. Jim would send drawings to Ben, who’d send them to me, and I’d give feedback to Ben, who’d send it on – more effectively phrased, no doubt – to Jim. It’s a good process, and I don’t think an uncommon one, because I tend to think that a writer and an illustrator, left to their own devices, would happily wander far off into Tangentland and possibly never return. Ben kept us both focussed and on task and was always considering the book as a whole. Having said that, it really was quite collaborative. We both had ideas about where illustrations might go and how they might work best. There was really good back and forth about the shape of the monster, for example, and how it would be portrayed, but also a shared sense of freedom, of really trying to make it something different and special. For example, we discussed early on that we didn’t want the illustrations to be just inserted plates, that we wanted them to interact with the text more. And Jim did absolutely incredibly on this. There’s one illustration in the book that actually stretches over nine pages and at one point even makes a house shape around the text. I didn’t always get my way about things (thank God), and we discussed/argued/debated right up until printing. But that’s how the best creative collaborations go, I think. I couldn’t be happier with the end result. Jim: I met Patrick for the first time sometime after the book was finished! That seems to work for me, Ben is a wonderful mediator, and it helps to have an individual pull focus on what’s important. So Ben would channel thoughts and images between Patrick and myself. I think I sent to Ben less than half of what I actually produced (there’s a high attrition rate when you are experimenting with a style), he would then come back and make suggestions, and then forward on to Patrick for his opinions. I think we actually did pretty well, you need some form of criticism to improve, and I’m always looking for an excuse to have another crack at an illustration – they are never really “finished” in my opinion. It was strange though working for an author you haven’t met, you start building this idea in your head of what he’d be like. Did you have a clear visual sense of the story before Jim got involved? Patrick: Not a visual sense, no, more of an emotional feeling, kind of a sense of how the spaciousness and the darkness/lightness might go. We went with Jim initially because his website had two completely unrelated drawings – one of crows in snow, and one, of all things, of an electricity pylon that had gone stomping off like a monster – and I thought, yeah, this is the feeling I’m after. Black and white, shadowy, suggestive. Then the most amazing thing happened, which is that we asked Jim to do a test drawing just to see what he might come up with. He sent back that incredible illustration of the monster leaning into Conor’s bedroom window. That drawing’s never changed and is in the book as I first saw it. He was instantly the obvious choice, and he came up with things I never could have dreamed of. How did you decide on a visual style for it? Jim: Well, I think you should change the technique to fit the brief. With regards to the colour; I think in black and white. I adore old black and white films, anything by David Lean, and I’d just been given a copy of the 1922 film Nosferatu, which helped. I prefer to work starting from a black canvas and pull the light out, which makes for a much darker image. The important thing was to give the reader the room to create their own characters and images in their mind, I was just putting suggestions of the Monster and Conor in there to help them along the way; darkness and ambiguity allow the reader to illuminate the scenes internally I think. Prior to starting the book I was struggling to find a “style”, which can be an issue for some publishers, as they don’t always know what they are going to get when they commission you, and this was the first commission on this scale I’d been given. I’m very grateful to Walker for allowing me the chance to just experiment. It’s ironic that the minute you stop trying to find a style, and just get on with the job, a certain cohesive feel to the images begins to bleed through the pages. In truth, I was lacking in confidence with my own drawing when I started the book, so I did ANYTHING to adopt ready-made ink splats, marks and splodges. I collected hundreds of them and arranged them like a collage, it was a way of escaping my old habits, because when you draw in the traditional sense your “handwriting” inevitably appears, and sometimes you don’t want that. I pulled things from skips and printed from them, I ran anything I could find through a print press to give me textures and patterns I could use. It felt like someone else was creating the images, which helped alleviate the pressure, and constantly threw up new ideas. How did you choose particular scenes/ images to illustrate? Jim: Ben had an idea of which key scenes we should address, and I would work around those. It was really liberating being allowed to spill from one page to the next, it gives you the opportunity to introduce another element to the illustrations, the element of time. So even when I worked on a key image (such as the Monster pushing a boy in the classroom), I could still incorporate other illustrations and scenes into that set-piece. I particularly like the “props” that populate some of the pages. Chairs are lovely to draw, and of course they relate to human proportions and human activities. An upturned chair is more than just a piece of furniture, it’s the echo of a human event. At the end of the day is A Monster Calls your book or Siobhan’s? Patrick: I always say it felt like a really private conversation between me and her, and that mostly it was me saying, “Just look what we’re getting away with.” The story always comes first, and that’s how you make it your own. Reproduced with thanks to The Guardian.